Photo No. 2 / 27. Smt. 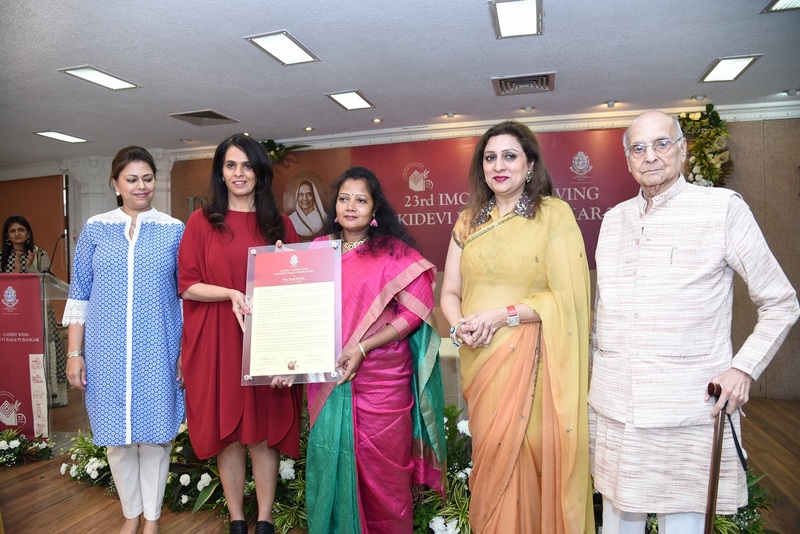 Kana Mondal receiving 23rd IMC-LW Jankidevi Bajaj Puraskar-2015 from Ms. Anita Dongre, Founder, House of Anita Dongre Ltd., Smt. Shalini Piramal, President-IMC Ladies’ Wing, Smt. Vanita Bhandari, Chairperson-Awards Committee and Justice Dr. C.S.Dharmadhikari, Chairman-Panel of Judges looks on.